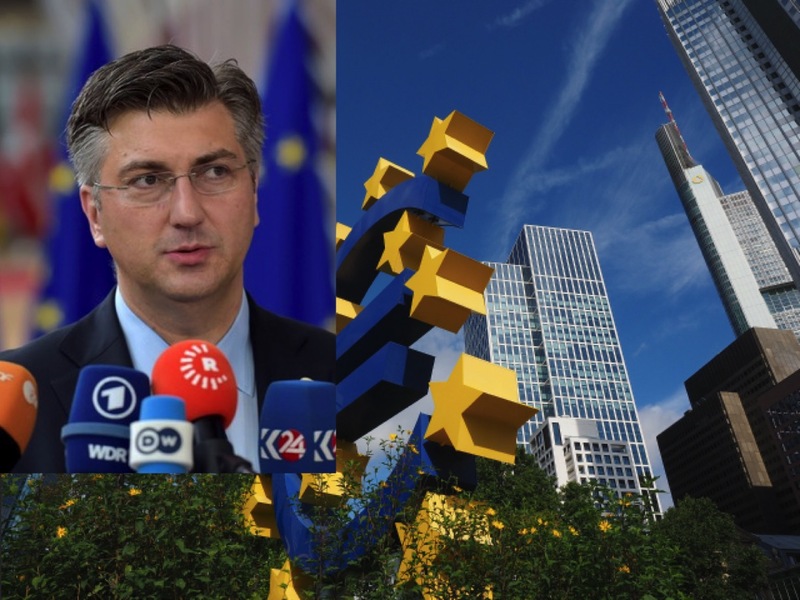 According to Prime Minister Andrej Plenkovic’s words on Monday 30 October 2017 at an economic conference devoted to the introduction of the euro in Croatia, Croatia aims to become a Eurozone member within the next seven to eight years. So now what? 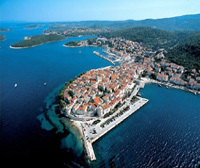 Can the madness of Eurozone failure and struggle be stopped from infecting Croatia? The United Kingdom’s 2016 shock referendum vote for Brexit was a warning about the gap between angry voters and pro-immigration, pro-globalisation élites. Globalisation in the eyes of those that voted for Brexit would rather apply to spreading ones country’s interests across the globe than being a part of a melting-pot of countries tied by a union, such as the EU, in which pot some countries suffer while others, particularly the bigger ones, benefit. As Jean-Claude Juncker, the president of the European Commission, has memorably said in 2014 on Eurozone economic policy and democracy, “We all know what to do, but we don’t know how to get re-elected after we’ve done it.” That doesn’t sound like a prediction of radical reform. It’s a dangerous moment for Europe. 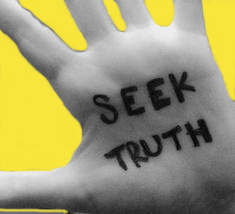 When Lehman Brothers collapsed, in September, 2008, and the global financial crisis hit, all Western economies went into recession, but the Eurozone countries suffered the most and for the longest. The U.S. unemployment rate hit ten per cent for a single month in 2009 and is now below five per cent; the Eurozone unemployment rate hit ten per cent around the same time, and it was only in July 2017 that it fell just below that figure while in individual countries there it still lingers in double digits. The Eurozone’s economy is smaller than it was when the crisis hit and many world’s top economy experts, including Stiglitz, the euro is to blame for all this underperformance. But let’s say the euro can’t be blamed for everything economically grim in the Eurozone and if it’s not only the euro then one can safely argue that the economic politics attached to it certainly complete the picture of failure causes. Eurozone takes away the two main monetary tools a country can use to manage its economy. The first is to cut interest rates in order to stimulate demand and the second is to reduce the value of the currency in order to stimulate exports. In Europe, the first thing that happened after the crisis was that all the bubbles popped. The “peripheral” countries suffered dramatic economic contractions, compounded by bank implosions, and had to appeal for financial assistance to avert complete collapse. To make things even darker, a complex mixture of international politics, economics, and law meant that the body that stepped in to help the crisis economies was a triple-headed entity, the Troika, made up of the European Commission, the European Central Bank, and the International Monetary Fund. The Troika had strong views about how the afflicted economies should be fixed. They rolled into town demanding austerity, meaning severe cuts to government spending, and structural reform, meaning changes to the way a country’s economy works. They doled out money on the condition that these policies were implemented, and accompanied the package with fancy charts showing how the economy was going to recover after the austerity medicine took effect. It is, if you have a twisted sense of humour, just possible to see the funny side of these bailout-and-austerity packages, especially the ones concerning Greece. The numbers are grim, and the human realities are worse—joblessness, hopelessness, forced emigration, spikes in the suicide rate. The pendulum swings no differently in Croatia. It has not all this time been a member of the Eurozone, but has since 2013 as member state of EU been affected by the Troika medicine, or should we say – infection. And now we have Croatia revving to jump into the Eurozone disaster zone! One wonders how much of the revving fuel is contained in a wild notion of romanticising about the saving power of Eurozone amidst current threats of bankrupting Croatia that are unfolding in dealing with “Agrokor” disaster and corruption has been poured into the political plights to save Croatia’s government from falling – yet again! EU members that have not yet adopted the euro are expected to spend at least two years in the Exchange Rate Mechanism (ERM) II, a mechanism aimed to ensure currency stability before joining the eurozone. Plenkovic’s centre-right HDZ government came to power in 2016, three years after Croatia joined the EU. Croatia is still one of the poorest member states and its economy contracted steadily from 2008 to 2015, with a mild rebound in the last two years. The Croatian central bank already keeps the kuna currency in a narrowly managed float, with minor fluctuations during the year, and steps in to prevent sharp changes by intervening on the local exchange market. The toughest challenge for Croatia to join the Eurozone will be bringing the public debt level to below 60% of GDP. It is slightly above 80% of GDP now. “Our goal is to reduce the public debt to 72% of GDP by 2020 … We are undertaking a major fiscal consolidation and this year the budget gap will be even lower than last year’s 0.9% of GDP,” Plenkovic said. Central Bank Governor Boris Vujcic said Croatia was the most “euroised” EU country of those that had not yet adopted the euro (Czech Republic, Poland, Hungary, Croatia, Romania and Bulgaria). “Some 75% of local deposits and 67% of local debt is denominated in the euro. Some 60% of Croatia’s trade exchange is related to the euro zone, while 70% of tourism receipts comes from the euro zone countries,” Vujcic told the conference. When you lose your currency you lose your freedom and if anything we should be looking to leave and let’s not forget that the referendum to even get into the EU by Croatian Law should never have been validated because in order for a referendum to be legal in Croatia 50% of the people must come out and vote and the turnout was much less than 50% yet Milanovic validated that referendum. Let’s also not forget that those who opposed entering the EU weren’t given fair time on Croatian television and the majority of airtime was given to the pro-EU groups. Now all of a sudden there is a rush to adapt the Euro as our currency, why the rush and why adapt it? While the media refuses to even talk much about it, if I recall there were growing movements in both Germany and France to ditch the Euro and go back to their old currencies, the Deutsche Mark and the French Franc. Yet, Croatia is falling all over themselves trying to adapt the Euro like they fell all over themselves to become EU members and ask yourself, how much better off is Croatia since becoming a member? I believe Stevie that it was Milanovic’s government that changed the law re turnout for referendums … in any case everything was done for Yes vote to win. In any case it would certainly be a good thing to revisit the times of it and review the whole mess. Yep, it was under Milanovic’s government that he changed the law regarding referendum turnouts. I believe it was also under his rule that we captured and turned our generals into the Hague in order to get into the EU sooner as well. But, it definitely looks like this new Pelenkovic government is just a continuation of the Milanovic government. What an excellent post Ina.. Yes this was those who voted out in Brexit exact point.. The point of the EU was to form a common market for trade.. Not central rule by unelected people of the elite .. Thank goodness we did not adopt the Euro,.. I do not think for one moment if they thought the voters would have voted out, it would have been allowed.. But the government in the UK underestimated the public’s opinions. Especially of those outside of London. And even when our country did start to prosper, it was then told to pay a higher premium to the pot. Thus enabling the struggling countries a chance.. There were many reasons I think that the Brits voted out.. Not all were because of the Immigration that to be honest is crippling many services as we have not got the infrastructure in place to cope. And we have an enormous housing crisis. We are seeing the cracks appearing in the seams, and it appears they want to make the UK Pay dearly for their choice of leaving as a threat to anyone else who is thinking along those lines..
And you only have to look at Catalonia to see what is happening there.. I feel the EU wobbling a little.. When being mixed in a pot and drowning in the stew it’s time to consider options, Sue and Brexit is one of them. It was to be expected that separation will not be easy and the strength of Brits for their choice i being put to the test. It will succeed with the will of the people, I believe. I think it will Ina.. and Like in NZ when subsidies were taken away in farming etc, it led them to seek more ways of using their initiative to find different ways of becoming better at what they do. Instead of being paid to keep fields farrow .. Or like in the past when we lost almost all of our old orchids, because they were paid to plough them down.. So we would buy their apples.. People have short memories of the reasons we joined the then Common Market.. It was supposed to be a tool to help all of us, not control so the few could prosper while the rest pay..
Where there’s a will, there is away, Sue. And the Brexit is certainly showing the way. Seems like the British had the right idea keeping the pound as their official currency!